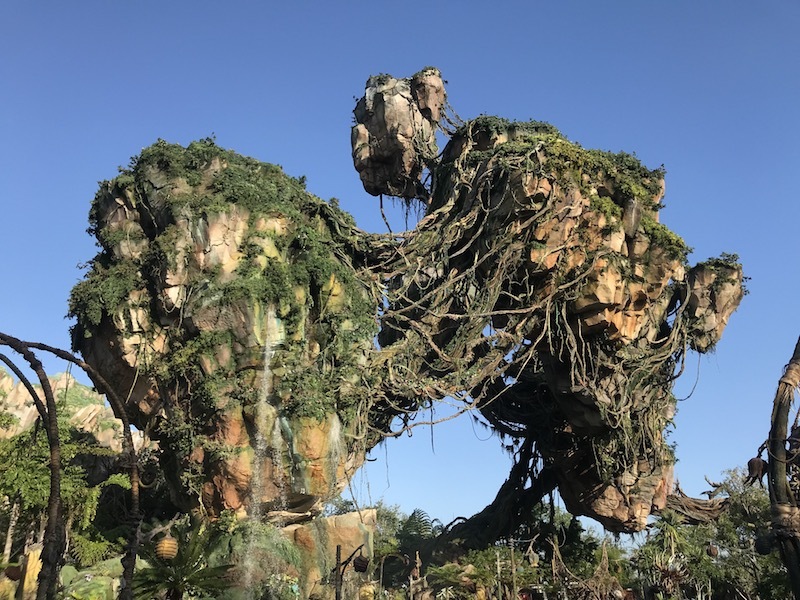 In this post we discuss how to use FastPass+ successfully to ride the best rides at Animal Kingdom in 2019. We suggest also reading our full Walt Disney World FastPass+ strategy to fully understand FastPass+. If you want to see this strategy at work, check out our one-day Animal Kingdom itinerary, featuring a real example of how we experienced Animal Kingdom in a single day, or our park hopping between Hollywood Studios and Animal Kingdom post, where we rode all the Animal Kingdom rides in one afternoon using same-day FastPass+ on one of the busiest days of the year. Again, you'll want to check out the full Walt Disney World FastPass+ strategy post to make sure you really understand FastPass+, but we want to give those of you who are just looking for the basics a quick introduction. With FastPass+, a guest can book an hour window to come back to certain rides and skip the lines. Since waits for some rides can get to three or more hours (even six hours on New Year’s Eve), FastPass+ is an important part of planning your day at Animal Kingdom. Guests at Disney hotels can book FastPass+ for their entire stay 60 days in advance of the first day of their stay. If you're not staying at a Disney hotel, you can book FastPass+ 30 days in advance. You can make bookings on the My Disney Experience app or online via the Disney website. When booking FastPass+ in advance, you can book three rides each day. Those three rides must be at the same park. At Animal Kingdom, you can book one Tier 1 attraction in advance and two Tier 2 attractions in advance (or three Tier 2 and no Tier 1). Tier 1 bookings often fill up 30 to 60 days in advance, though you'll see sporadic availability pop up even on the same day. Does all this FastPass+ stuff have your mind running wild? Well, there is one tool we recommend for people who want help planning their days. Touring Plans offers a suite of tools, including a crowd calendar, wait time predictions, and customized day-by-day itineraries, all for the annual price of $14.95! Tap / Grab / Modify will keep you out of lines all day long. This is a simple call. If you can get an Avatar Flight of Passage reservation, you should. Flight of Passage is undoubtedly the best ride to FastPass at Animal Kingdom and in all of Walt Disney World. Lines frequently exceed three hours, and the wait at rope drop (when the park opens) can be two hours. If you get the Flight of Passage FastPass+, plan to start your day Na'vi River Journey, which is comparably easier to grab a short wait for. 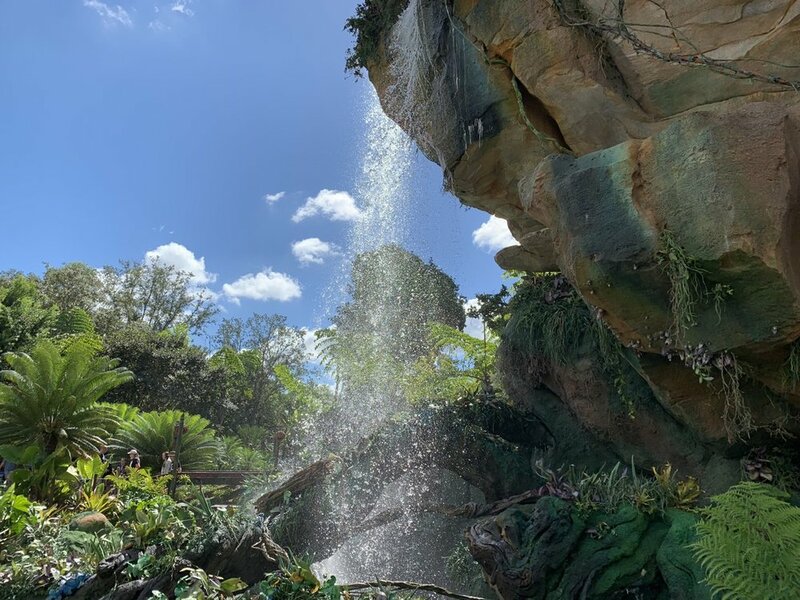 If you can’t get an advance reservation for Flight of Passage, then you’ll need to get to the park as early as possible (we recommend one hour before park open) and hop in line (and you’ll want to use your Tier 1 FastPass for Na’vi River Journey). If you don't grab a FastPass+ reservation for Flight of Passage, don’t count on being off the ride earlier than 90 minutes after park open. You very well may be off earlier than that, but better to be safe than risk missing a FastPass reservation. We suggest you try and reserve Avatar Flight of Passage for your second-to-last day at the parks. You want to aim for as late as possible (you’ll have better availability later in your trip) but you want to leave a buffer in case something goes wrong (like the ride breaking down). You can schedule your Tier 1 FastPass+ for anytime in the day you can get it, but we recommend grabbing something midday to early afternoon (10:30AM to 2PM). This will allow you ample time to visit rides with shorter waits in the morning. Kilimanjaro Safaris is definitely the best ride to FastPass+ at Animal Kingdom outside of Pandora. FastPass+ reservations go quickly for this one, and lines get quite long. Worth noting is that between 11AM and about 4PM you’ll see less activity on the safari because the animals relax in the heat. This makes it a tough FastPass+ to schedule because our typical advice would be to schedule your FastPass+ during that time. But there are two strikes against scheduling it early (say, 10AM). First, the wait for Kilimanjaro Safaris at that time will probably only be 15-30 minutes, not the best use of a FastPass+. Second, Kilimanjaro Safaris is a long ride (20-30 minutes), and you’ll let the waits for the other rides (DINOSAUR, Expedition Everest, Kali River Rapids) go up while you’re on it. Overall, we think if you’re a fast-moving, go-get-it kinda family, you should put your Kilimanjaro Safaris FastPass+ in the late afternoon around 4PM to 6PM (the ride closes as early as 6:30PM some days). Animal Kingdom has few enough rides that you can cover most of them even with your hands tied to an later FastPass+ reservation. If you move at a more leisurely pace, schedule it before 11AM so that you can visit Kali River Rapids or Expedition Everest if you’d like, but you’ll be able to at least cut through any wait on Kilimanjaro Safaris. If you grab Kilimanjaro Safaris, it's a matter of preference between Expedition Everest, DINOSAUR, and Kali River Rapids for the third FastPass+ slot. We think, generally, Expedition Everest is the best ride to FastPass+ at Animal Kingdom with your third FastPass because it is the most popular of the three and will be the hardest FastPass to get on the same day (though none of these are particularly hard). That said, Expedition Everest has a single rider line, and we’ve found that in the morning while everyone is in line for Pandora rides, we can get Everest in multiple times. Your morning should take one of these two routes. Use your third Animal Kingdom Fastpass for the ride you skip. With this approach, you’d use your third Animal Kingdom Fastpass+ slot for whichever of Kali River Rapids or DINOSAUR you skip. Also, remember that even though crowd calendars might tell you Animal Kingdom is busier on some days, these crowds tend to concentrate on Pandora. This means even on busier days you'll find a lot of reasonable waits outside Pandora. 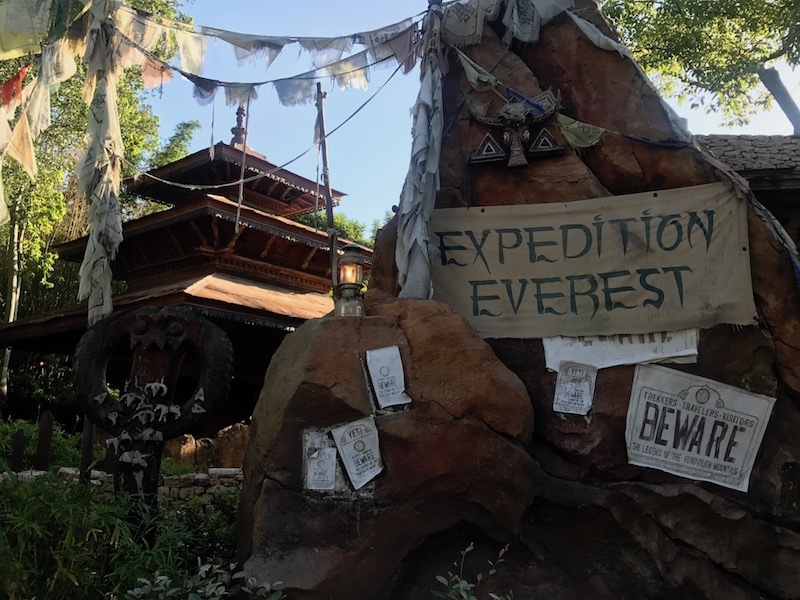 You might miss out on a Kilimanjaro Safaris FastPass+, in which case you’ll want to use your two tier 2 slots for Expedition Everest and DINOSAUR. If you have to have a Rivers of Light FastPass+, you could do that instead of DINOSAUR. Alternatively, those on the Disney dining plan should consider using their credits for a Rivers of Light dining package for great value. If you don’t grab Kilimanjaro Safaris, don’t grab Kali River Rapids. The reason is that you’ll probably be heading to Kilimanjaro Safaris early, and you’ll be able to walk right over to Kali River Rapids for short wait when you’re off the safari. We’ve discussed a bit of this above, but no FastPass+ strategy is complete without a complementary rope drop strategy. We have a separate post that covers rope drop at Animal Kingdom so you know how to approach those crucial first few hours in the park. The best post we have showing the power of same-day FastPass+ at Animal Kingdom is our post on park hopping between Hollywood Studios and Animal Kingdom. That post is based on a high-crowd day where we grabbed FastPass+ reservations for every Animal Kingdom ride in one afternoon. We suggest checking the Walt Disney World website to confirm kiosk locations in case they change before we update this post. If you manage to put your Animal Kingdom FastPass Tier 1 ride first, you'll be in a good position to tinker your second two reservations to earlier times. Since there is often wide availability on the Tier 2 rides at Animal Kingdom, you should be able to grab a wide range of slots once you’ve used your first three FastPass+ reservations!